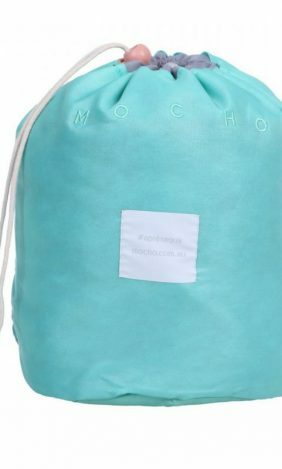 MochO Glassy – Aqua Trim features superb Portuguese velour terry toweling. 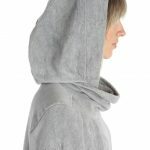 The draping allows enough elbow room to change under with the press studs enabling discretion or freedom of movement. 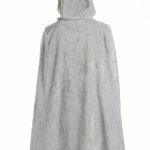 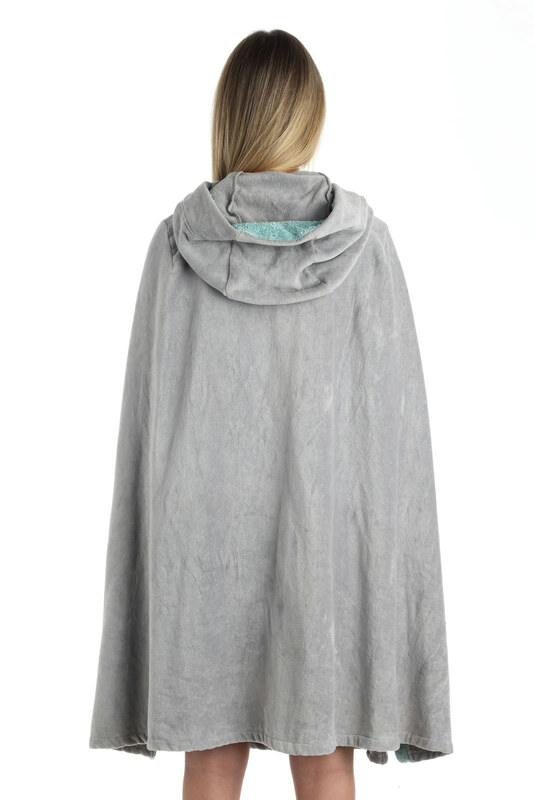 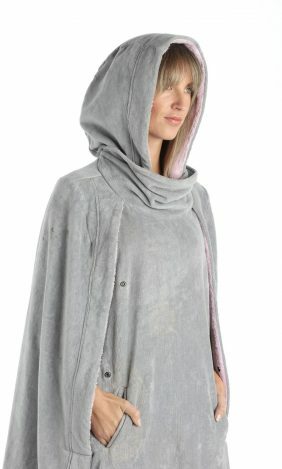 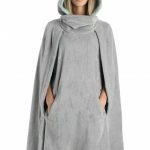 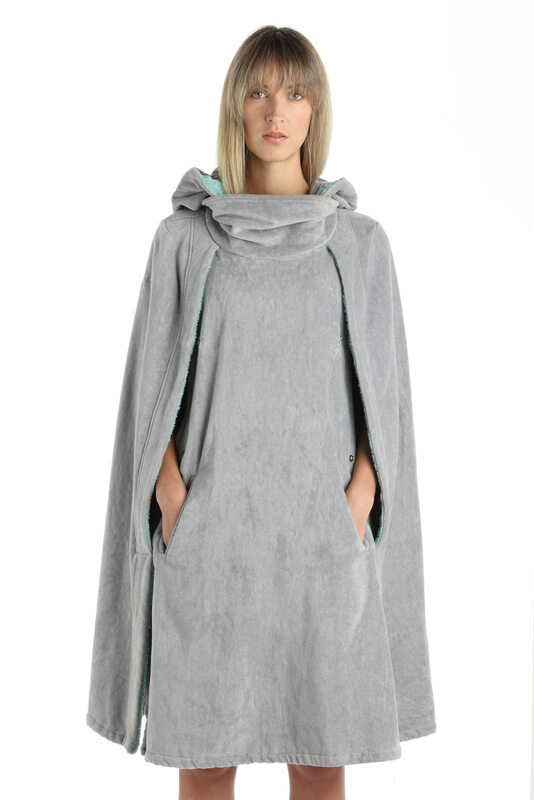 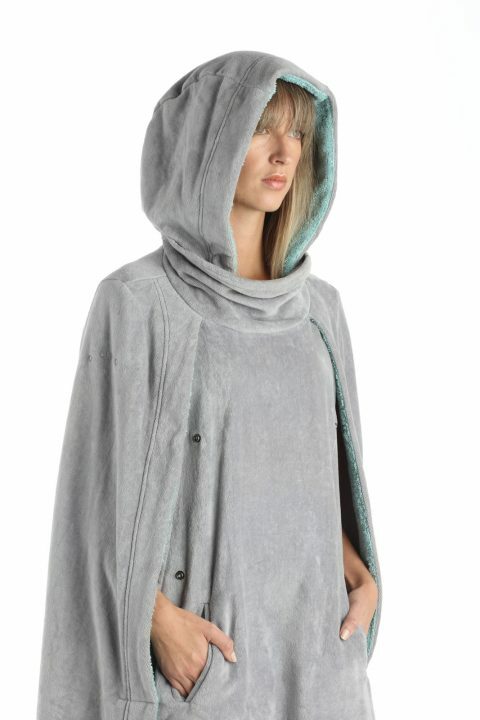 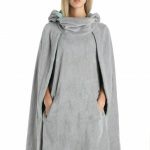 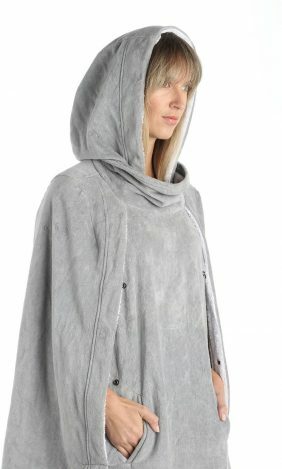 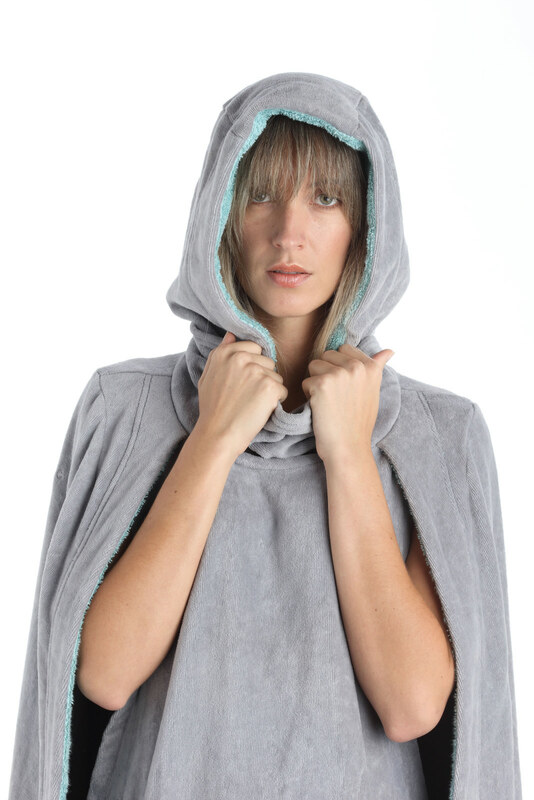 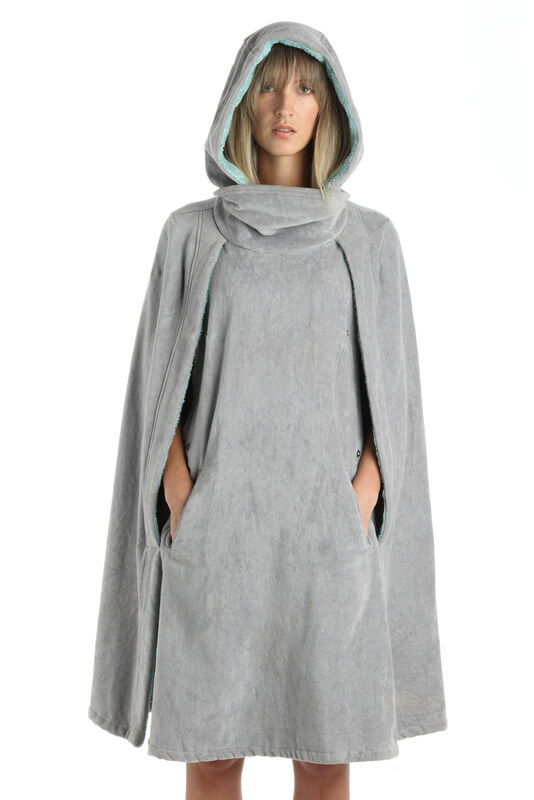 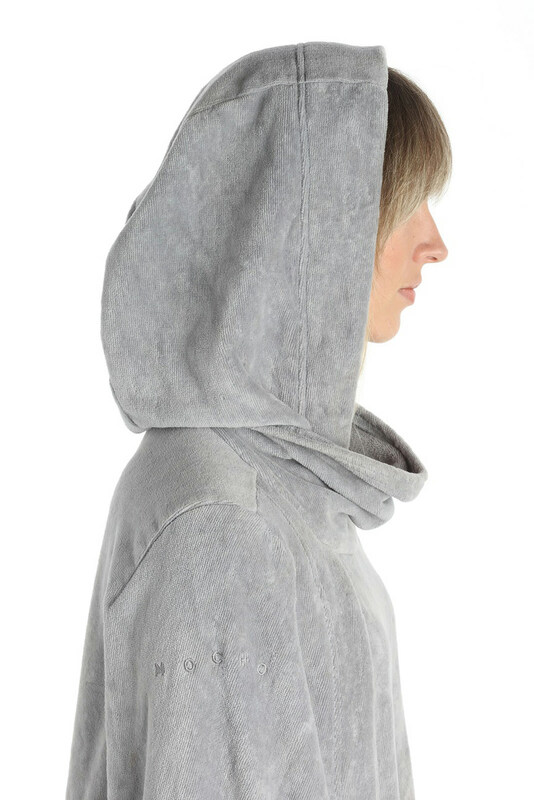 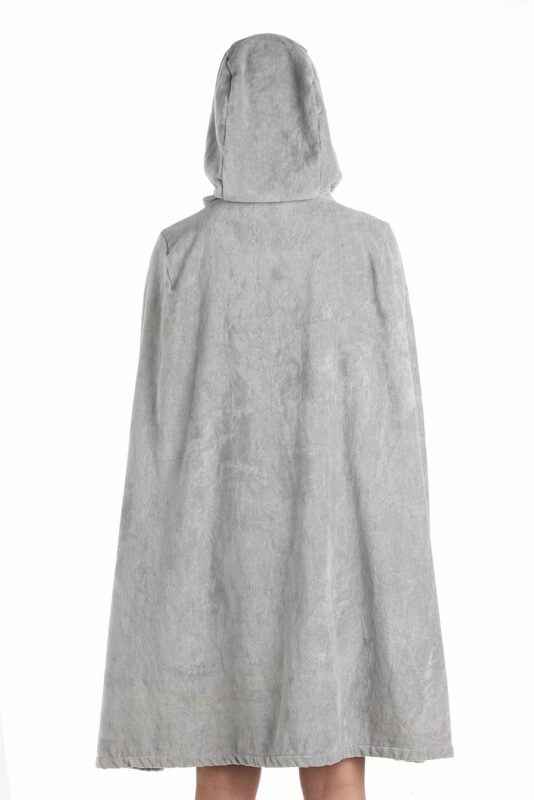 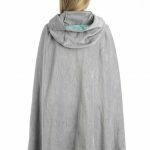 The generous hood is perfect for drying hair while giving warmth and protection. The aqua contrast trim provides subtle detail around the hood and inside the two welt pockets.